Washington’s Highline Public Schools (HPS) is collaborating with Discovery Education to support its plan to make all students tech-savvy and tech-literate by graduation. The collaboration provides access to Discovery Education’s digital content and professional learning services. HPS has partnered with the company to support its Strategic Plan for 2013-2017, which was developed with input from parents, students, community members and district staff. The plan outlines objectives to ensure that each student is prepared for college and careers, including an objective to make sure every student graduates tech-savvy and tech-literate. “Key components of the district strategy include providing technology devices to every student; partnering with local technology organizations to provide resources and access to leading-edge technology and industry professionals; and providing current and continuous professional development for teachers, leaders and staff to ensure seamless integration of technology-driven approaches,” according to a prepared statement. Digital content on Discovery Education Streaming Plus, a comprehensive digital service that contains thousands of standards-aligned resources that supplement K–12 curriculum. The digital resources include videos, images, primary source documents, podcasts, oral interview, audio books and more for students to use. Teacher resources include lesson plans, instructional strategies, skill builders and multimedia activities. Professional learning opportunities through Discovery Education’s Digital Leader Corps, which trains participants on how to propel the district’s transition model to modern digital learning environments. In total, 35 teacher leaders and their principals from five elementary schools, two middle schools and one high school will participate in the Digital Learning Corps. Access to the Discovery Education Community, a global network where educators can share ideas. Further information about HPS’ districtwide plan is available on the HPS site. 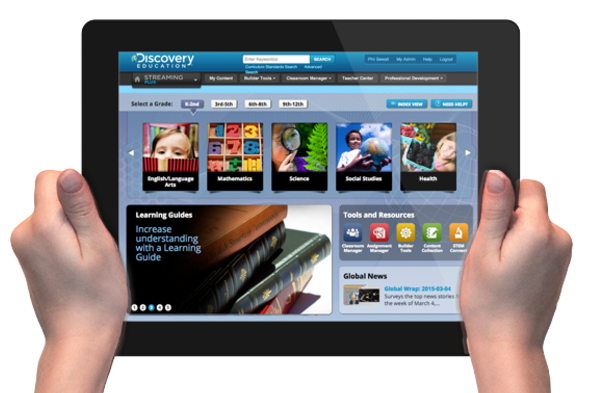 To learn more information about Streaming Plus, Digital Leader Corps and other services, visit the Discovery Education site.